Climate Depot’s Morano: “It is a political report masquerading as science. The media is hyping a rehash of frightening climate change claims by Obama administration holdover activist government scientists. The new report is once again pre-determined science. The National Climate Assessment report reads like a press release from environmental pressure groups — because it is! Two key authors are longtime Union of Concerned Scientist activists, Donald Wuebbles and Katharine Hayhoe. But major scientific flaws were immediately discovered in this new federal climate report. Greenpeace co-founder Dr. Patrick Moore ripped the new federal climate report: “The science must be addressed head-on. If POTUS has his reasons for letting this Obama-era committee continue to peddle tripe I wish he would tell us what they are,” Moore told Climate Depot. 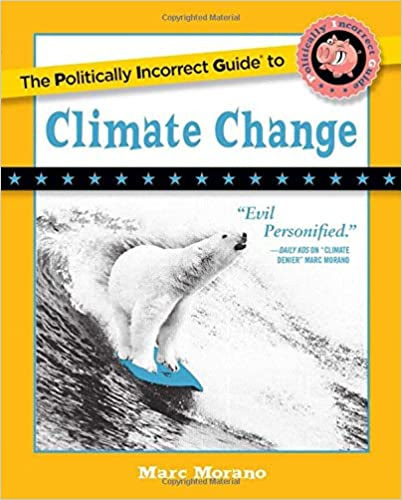 “This new federal climate report even flies in the face of the UNIPCC admission that there is no evidence of a connection between AGW (anthropogenic global warming) and extreme weather. [Lead author] Ms. [Katharine] Hayhoe reigns supreme. Very worrying,” Moore added. It’s derived from a study funded by Tom Steyer et al. The 15 deg F temp increase is 2x most extreme value reported elsewhere in the report,” Pielke Jr. wrote. “Shouldn’t such an outlandish, outlier conclusion been caught in the review process?” Pielke Jr. added. 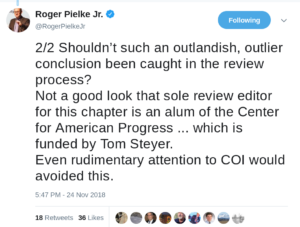 “Not a good look that sole review editor for this chapter is an alum of the Center for American Progress … which is funded by Tom Steyer. Even rudimentary attention to COI (conflict of interest) would avoided this,” he added. More here: HEADLINE CLAIM IN FED CLIMATE REPORT RELIES ON RESEARCH TIED TO MAJOR DEMOCRATIC DONORS – A top-line claim in the latest U.S. government climate report is based on research funded by groups tied to Democratic donors. The new National Climate Assessment claims the U.S. economy could take a 10 percent hit from global warming. However, that claim is based on research funded by groups founded by Tom Steyer and Mike Bloomberg. Dr. John Dunn lamented that he was disappointed that President Trump has not halted these federal reports written to promote climate fears. “Two years into the Trump administration it is sad to see this 400-page pile of crap,” Dunn told Climate Depot. “The government is paying our National Academy of Sciences (NAS) to come up with alarming report with a bunch of scary climate computer models. (NAS is almost entirely dependent on federal funding). The lead authors of this report Donald Wuebbles and Katharine Hayhoe, have come out and said every storm is now impacted by global warming. It is a political report masquerading as science. We knew what it was going to say before it was issued. The media is hyping a rehash of frightening climate change claims by Obama administration holdover activist government scientists. The new report is once again pre-determined science. The 2017 National Climate Assessment report reads like a press release from environmental pressure groups — because it is! Two key authors are longtime Union of Concerned Scientist activists, Donald Wuebbles and Katharine Hayhoe. Wuebbles is on record as believing global warming has powers and abilities far beyond those of any other phenomenon. “There’s really no such thing as natural weather anymore,” Wuebbles said in 2011. “Anything that takes place today in the weather system has been affected by the changes we’ve made to the climate system,” he added. Whoa! Wuebbles may as well claim that we never had weather like this until those darn witches moved in the neighborhood! If he is correct, then how does he explain that as CO2 has risen, extreme weather events have declined? This National Climate Assessment is a political report masquerading under the guise of a “science” report. The report is designed to pressure the Trump administration to reverse course on repealing Obama era climate regulations. Essentially the same climate scare report is issued every four years and relentlessly hyped by the media. About 85 percent of funding comes from the federal government through contracts and grants from agencies and 15% from state governments, private foundations, industrial organizations and funds provide by the Academies member organizations.” MIT climate scientist Richard Lindzen harshly rebuked then-NAS president Ralph Cicerone in his congressional testimony in November 2010. “Cicerone [of NAS] is saying that regardless of evidence the answer is predetermined. If government wants carbon control, that is the answer that the Academies will provide,” Lindzen testitifed. Climatologist Dr. Pat Michaels on new fed climate report: ‘Systematically flawed’ – Report ‘should be shelved’ – Dr. Pat Michaels: The NA4 (fourth “National Assessment) and the accompanying Climate Science Special Report repeatedly state that models show anthropogenic emissions are responsible for almost all 20th-century warming. This is claimed despite the fact that of the two twentieth-century warmings; the first one, approximately from 1910 to 1945, could hardly have been a result of carbon dioxide emissions. The 1910-1945 warming is statistically similar in slope to the 1976-1997 warming. Going back to 2000, there have been persistent problems throughout the entire assessment process, underscoring the need for major administrative change. For these and other reasons, draft NA4 should be shelved and reset, so that time and resources can be devoted to a new Assessment that corrects and addresses the first three Assessments and the draft NA4. NA4 suffers from a fundamental methodological flaw in assuming that models making large bulk errors are representative of a range of future warming. Ubiquitous tuning of the models to the 20th-century history hardly increases their reliability. HEADLINE CLAIM IN FED CLIMATE REPORT RELIES ON RESEARCH TIED TO MAJOR DEMOCRATIC DONORS – A top-line claim in the latest U.S. government climate report is based on research funded by groups tied to Democratic donors. This federal climate report is released every few years. Physicist Steven Koonin: ‘A Deceptive New Report on Climate’ – The report ominously notes that while global sea level rose an average 0.05 inch a year during most of the 20th century, it has risen at about twice that rate since 1993. But it fails to mention that the rate fluctuated by comparable amounts several times during the 20th century. The same research papers the report cites show that recent rates are statistically indistinguishable from peak rates earlier in the 20th century, when human influences on the climate were much smaller. The report thus misleads by omission…This isn’t the only example of highlighting a recent trend but failing to place it in complete historical context. The report’s executive summary declares that U.S. heat waves have become more common since the mid-1960s, although acknowledging the 1930s Dust Bowl as the peak period for extreme heat. 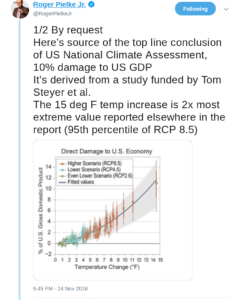 These deficiencies in the new climate report are typical of many others that set the report’s tone. Consider the different perception that results from “sea level is rising no more rapidly than it did in 1940” instead of “sea level rise has accelerated in recent decades,” or from “heat waves are no more common now than they were in 1900” versus “heat waves have become more frequent since 1960.” Both statements in each pair are true, but each alone fails to tell the full story. EDITORS NOTE: The featured edited photo is by Jon Tyson on Unsplash.